Microsoft currently doesn’t support in-place upgrade of Windows operating systems running on virtual machines in Microsoft Azure. I have successfully performed several upgrades for customers throughout the last couple of years. 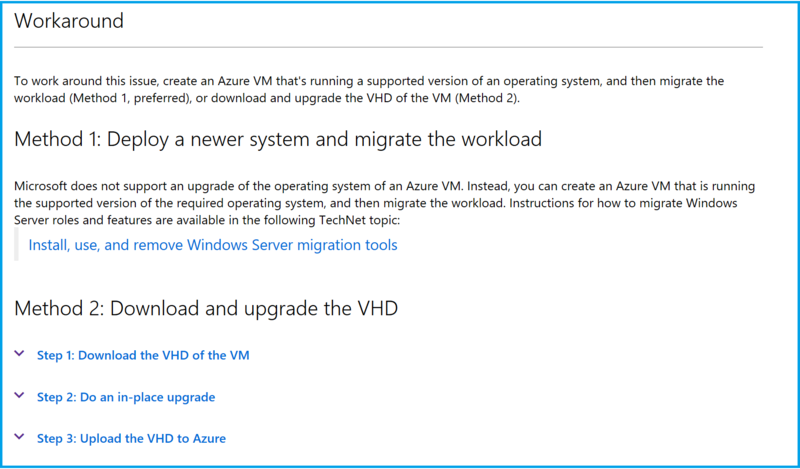 Note: Before performing the steps below it is highly recommended that you save a copy of the VHD or before a backup of the virtual machines using Azure Backup. Just in case anything doesn’t go as expected and a restore is needed. Steps needed to complete the upgrade. Mount the ISO file on the server where you are performing the upgrade. 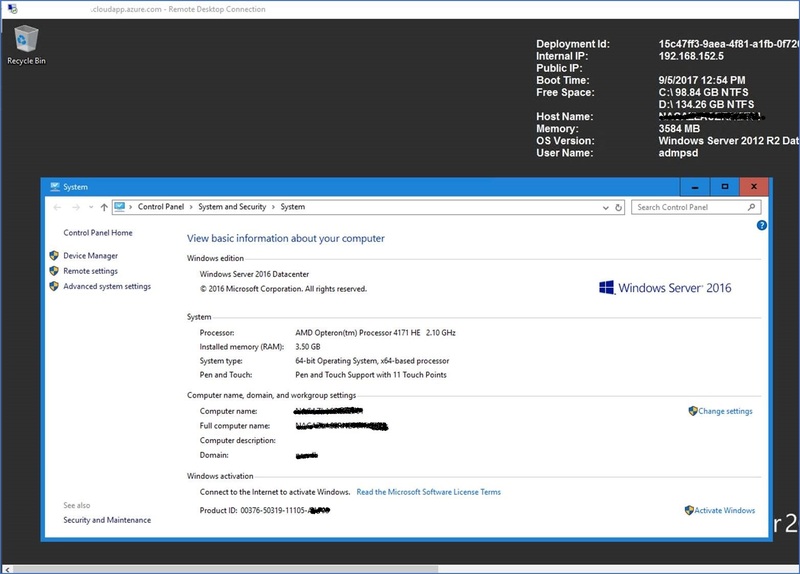 Considering that everything went as expected you should see that the server was upgraded to Windows Server 2016. Getting stuck at the EULA / License Terms? Microsoft Azure do not provide any access to console mode, which makes it impossible to accept the EULA by clicking “Accept”. 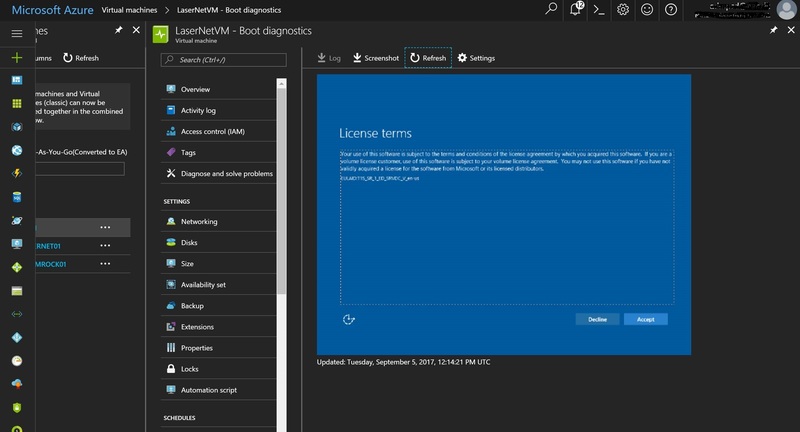 You can see a screenshot of the console under boot diagnostics, if your Windows Server is stuck and requiring user input a rollback will be needed. Where do I get the Product Key from? 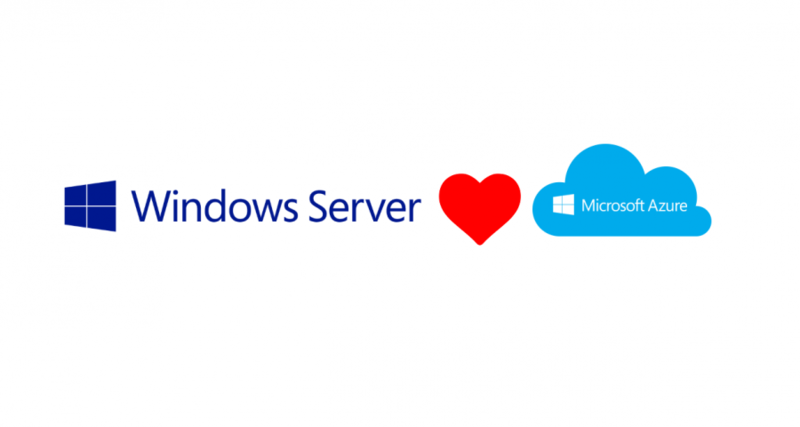 You can get the product key for Microsoft Windows Server 2016 Datacenter from the Microsoft Volume Licensing (https://licensing.microsoft.com/).